The Bruckler home is located just above the word "Burgenland" (it has a dark roof). Just above the double white building, near the center of the picture, is the Volksschule. 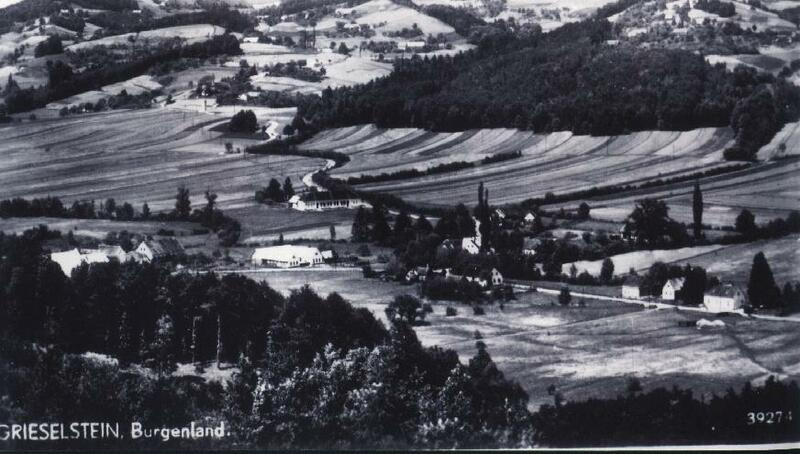 Other than a few more homes, this area probably hasn't changed much since the picture was taken (date unknown).